In terms of gaming components the three most iconic have got to be dice, the playing card, and the chess board. I've tried my hand at playing cards. Here you will find my take on the classic grid board. There are two versions. One with an even number of squares and the other with an odd number. 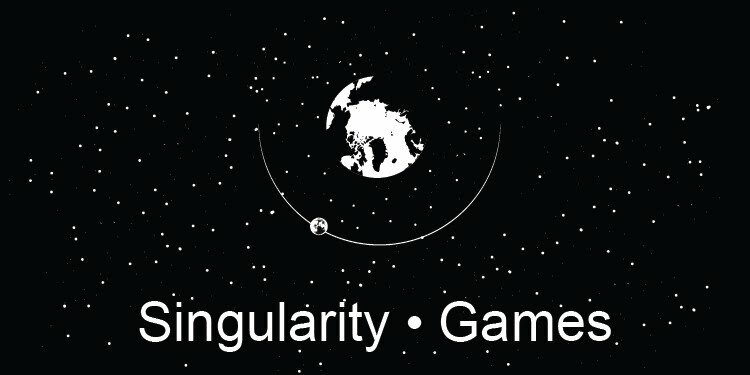 There are a ridiculous number of games that are played on the humble grid. I feature some of my favorite games to play with these boards near the bottom of the page, but check out this geeklist (link coming soon) for a larger list of compatible games. I have tested the quality of the print and material. The boards are 22 by 22 inches. The cloth print is on a polyester that is really soft, sturdy, and doesn't wrinkle (The material is really great, I was very impressed the first time I received the print from them). It's not the thickest material though so I've found its best to play on a flat surface. Although, when confronted with an uneven surface I just layer it with some of the other cloth boards I have and that seems to do the trick. You can download the boards for personal use below. I ask that you don't post the original images elsewhere and instead post a link directing people back here. My goal was to design the boards to be as versatile as possible. I am currently on version 8, which I know sounds crazy for such a simple design, but there are a lot of subtle design choices that took a bit of iteration. For the 8 by 8 grid one of the trickiest parts was figuring out how big to make the squares. I wanted it to be compatible with the duke, an "executive" sized chess set, and the phenomenal Looney pyramids. This meant that I needed to make the squares 1.75 inches to accommodate the duke pieces at 1.5" and the looney pyramid laying on its side at ~ 1.75". I also wanted the markings designating the board sizes to be as unobtrusive as possible while still being obvious within the context of a specific game. For example, I don't want someone playing on the 6 by 6 grid to mistakenly think they have a move that is really outside the play area. 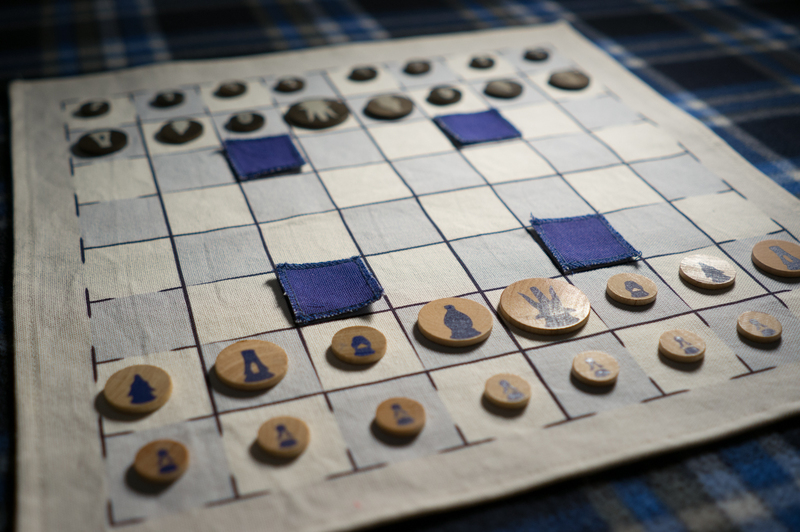 On the other hand, I didn't want the markings for the 6 by 6 grid to distract from a game played on the larger board. I wanted to give each unique board size a different distinguishing feature. 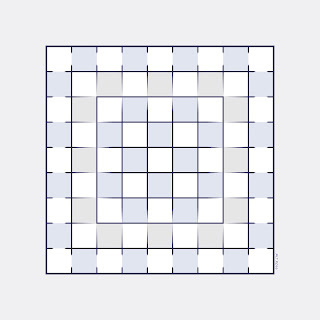 The lines making up the smallest grid size in the center taper. The next size grid is more obvious in that the color changes to a grey. 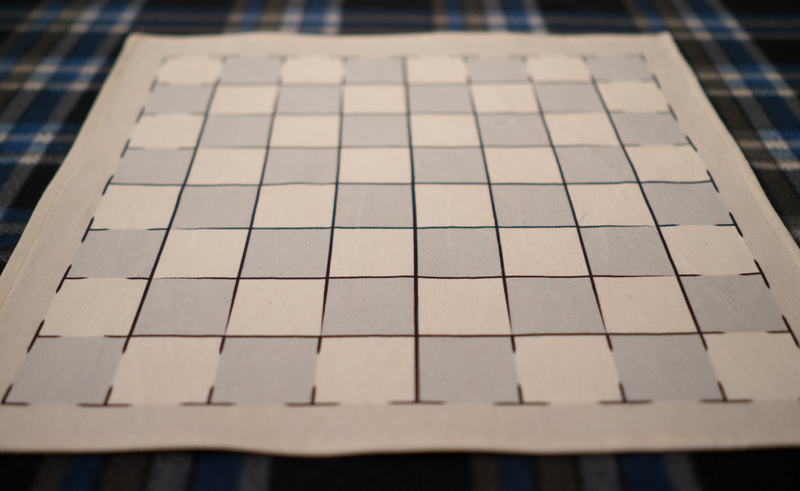 This also helps slit up the inside and outside grids. 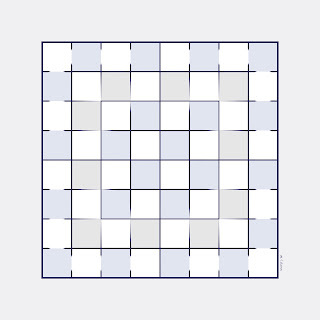 The outermost grid uses incomplete outlines. There are also lines indicating the half way split points on the board to aid in playing games like martian chess. 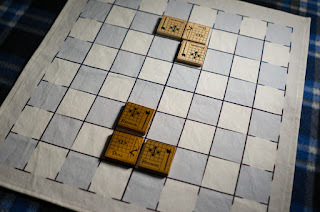 I think that by providing enough small clues, the board shape is obvious when playing a specific game as the player would be primed to notice the marks specific to the game at play.